With a graduate degree in the fields of finance and management from ICEE, Eudes Baufreton began his career in London as Chief Financial Officer of Graveleau Limited, a position he held for several years before rising to become the company’s Deputy General Manager. Upon his return to Paris, he headed a mutual insurance company specializing in occupational risk coverage, during several years. 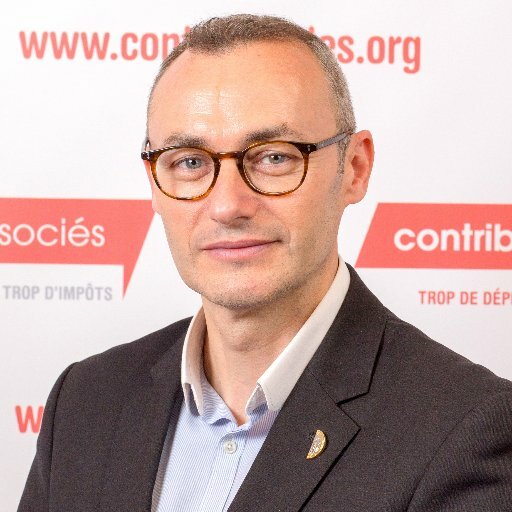 In 2005, Eudes Baufreton joined the French taxpayer alliance, Contribuables Associés, first as co-director by the side of Benoîte Taffin, and for the past few years as director. Eudes Baufreton supervises the alliance, and its magazine, in the fight against the squandering of public money, for a pruning of state intervention, and generally in favor of tax cuts, all for the benefit of the growth of civil society and the independence of the private citizen.